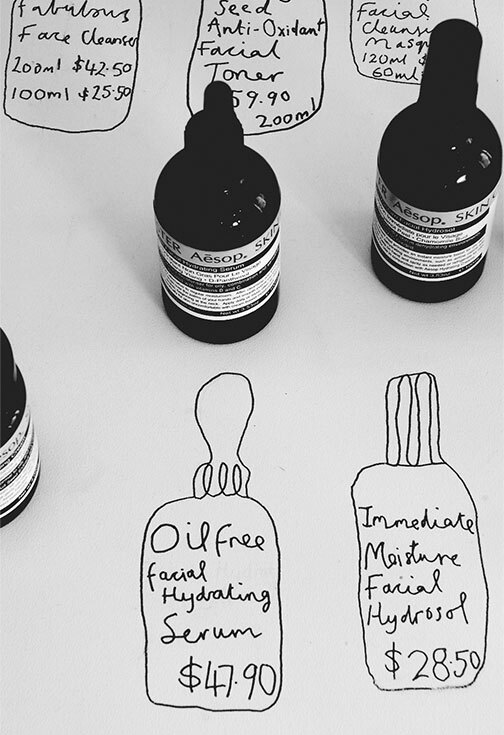 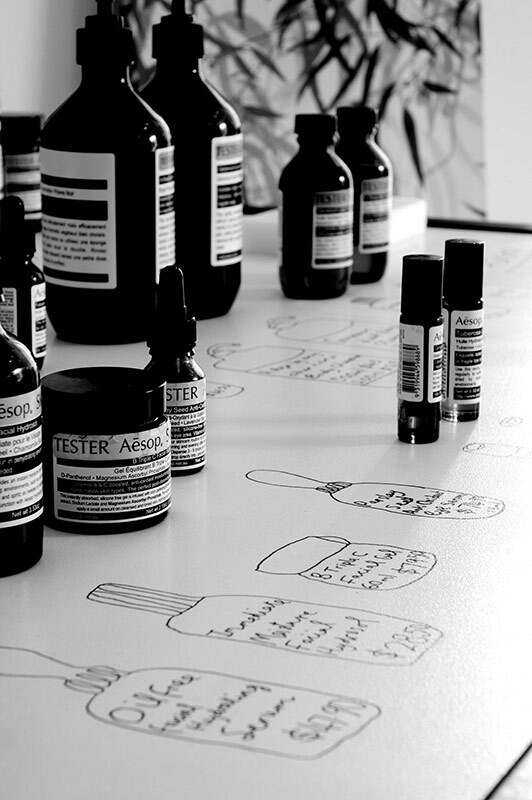 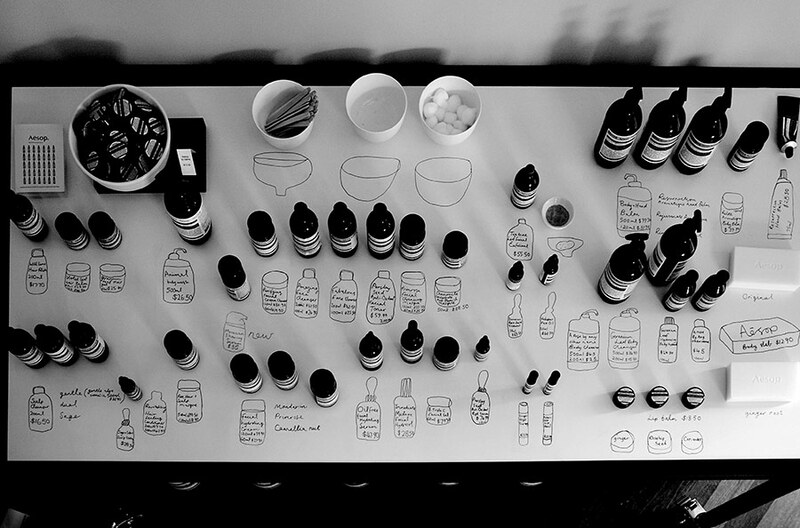 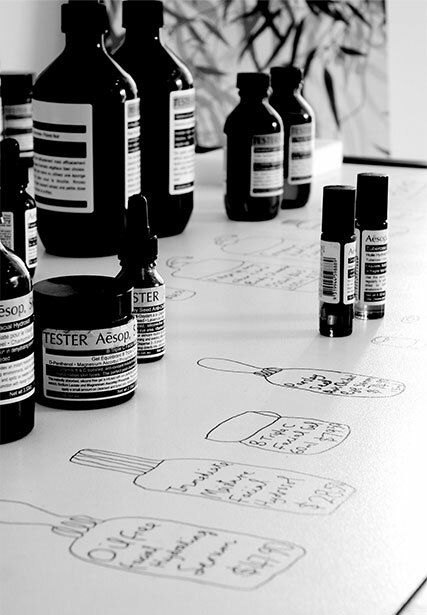 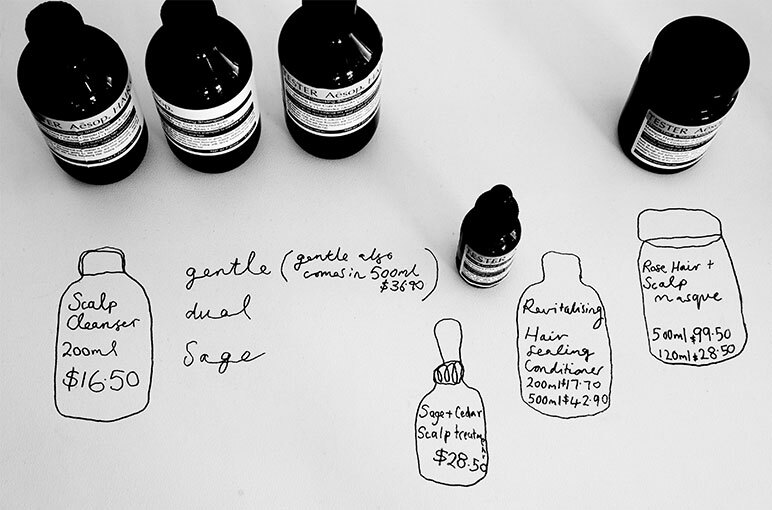 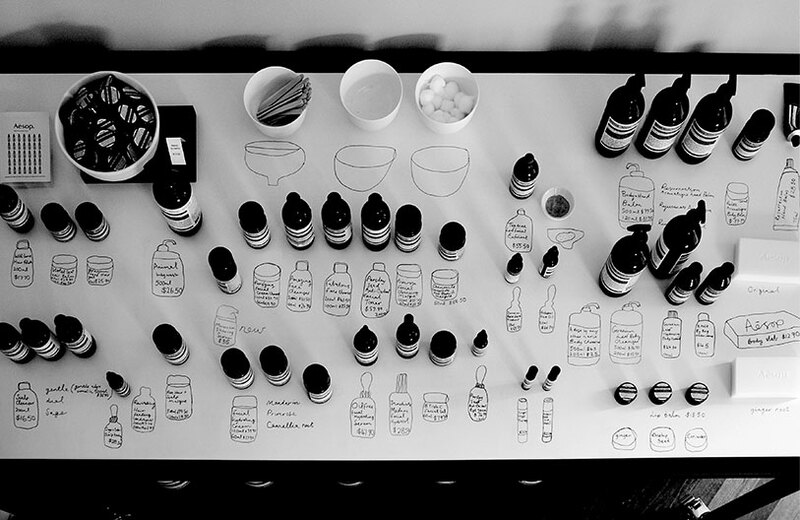 Point of sale illustrations for Aesop′s skin and hair care range. 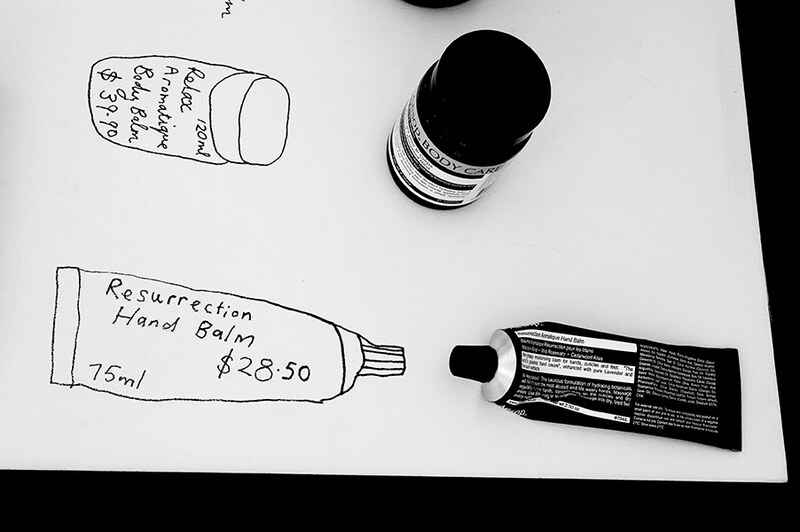 I drew directly onto the table top with texta. 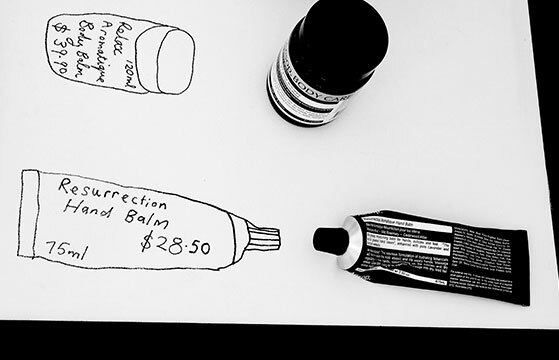 I would re-draw the illustrations once a fortnight rearranging the format each time to keep it interesting for myself and for the customers. 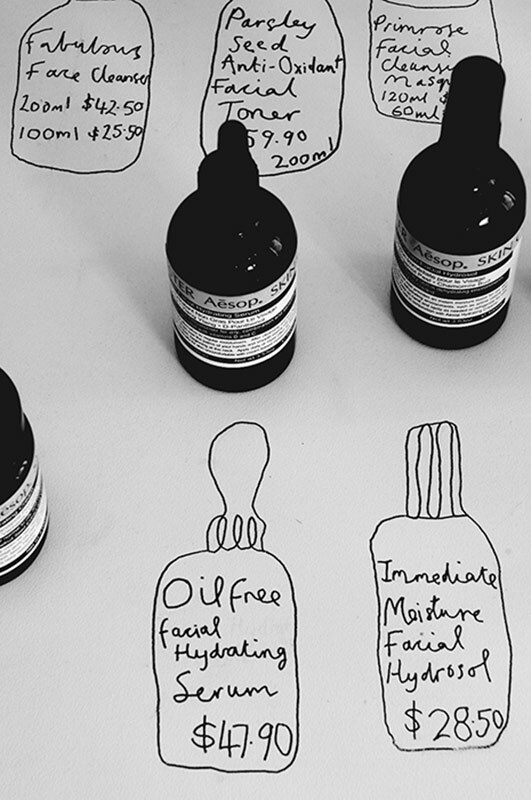 These illustrations were fun to do and kept the customers amused and on their toes.